Urban Meyer is one of the most respected coaches throughout all of college football. He has coached at more than four different schools but is most known for his stellar coaching at Florida and Ohio State. With Urban at the helm, Florida won 2 National Championships in 2006 and 2008. You might say coach Meyer has done an even better job at Ohio State going 73-8 and winning the first College Football Playoff in 2014 with a third string quarterback. Even though coach Meyer is one of the most respected coaches, he has been under a lot of scrutiny since the beginning of August. On July 23rd Urban fired Zack Smith who was the wide receiver coach at Ohio State. Coach Smith was let go after his ex-wife was granted an order of protection from him which means Zack cannot be within 500 feet of her. This is not the first dispute between the two of them. 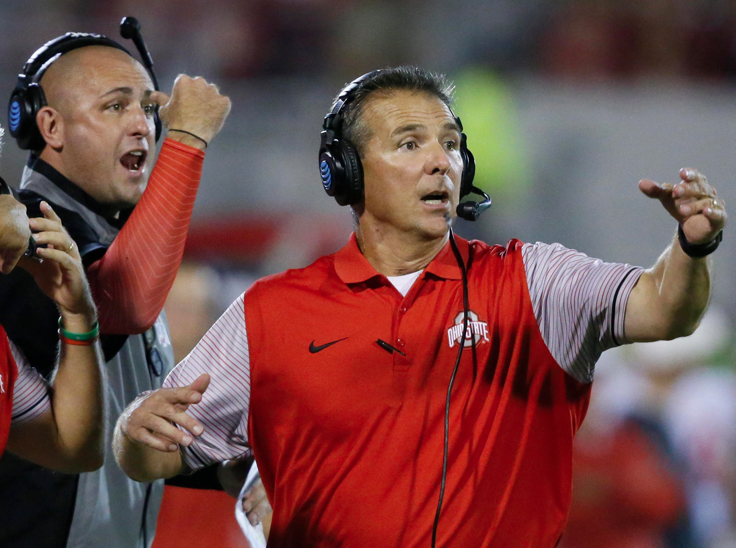 In 2009 and 2015 there were reports of domestic abuse and stalking while under Urban Meyers staff at Florida and Ohio State. On August 1st Urban Meyer was placed on administrative leave after reports came out that he was aware of the incident in 2015. The administration decided to suspend him for the first three games but he can coach and run the practices. Urban later came out with an apology saying that he was sorry to Zack’s ex-wife Courtney Smith but he also caught some heat for his comments. Both media and fans outside the Buckeye circle thought his apology wasn’t sincere enough because he was reading a script. Ohio State won their first game last Saturday 77-31 without Urban on the sideline and he looks to come back September 22nd when they play Tulane.